Designed as a credenza to house electronic equipment with a flat screen television wall mounted above, the GNP Media Credenza is offered with an outside cabinet made of American Walnut with a satin hand rubbed spray lacquer finish. The unit is fitted with six drawers on soft close glides for additional storage. 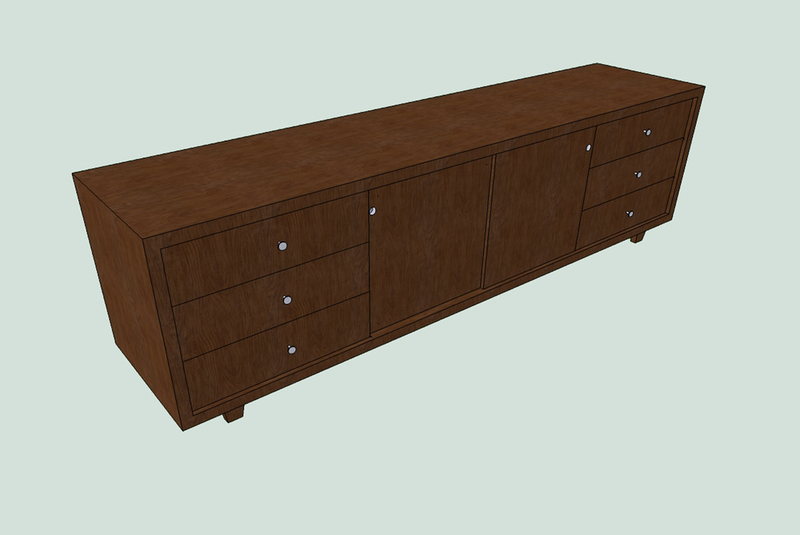 Available in custom sizes with a choice of matching American Walnut or high end painted front. Further customization can be obtained by selecting glass inlays at the Credenza's doors.